In this digital age we live in, it’s easy to find Medical Marijuana by using your iPhone. In the United States, there are multiple states now that offer recreational laws that allow people over the age of 21 to purchase medicinal marijuana. In these states, there are multiple locations and each business has multiple options for you to purchase. So how do you make a decision as to where to go? Perhaps it’s because you are driving by, or maybe you read an article about a location in publication such as High Times or a local newspaper or magazine. Maybe you have a friend who made a suggestion or your doctor referred you to a specific shop because they provide specific strains or products good for your ailment. In today’s world, even if any of all of the above happened, we still turn to our iPhone or mobile device you have to do research. We like to learn about what we can get, who has what we are looking for, and the distance we may have to travel. Another option people look for is whether or not a location has a medical marijuana delivery service available for members or non-members. The iPhone can help us find this information. When using your iPhone, go to your browser of choice. I tend to use Google Chrome but I also use Safari. There are many other browsers available, but these are the two I use most often. In the browser, simply type in medical marijuana and if your location settings are on, you should see locations closest to you. Some other words you may want to consider using are find medical marijuana or buy medical marijuana. In the event that you can’t find what you are looking for, there are multiple directories such as our directory that can help you find your location based on state and city. The OneKindSite Business Directory is easy to use and just click on the link in this sentence to access or find the link on our home page. There are many other directories available in the internet that can help you. If you are searching and you can’t find what you are looking for, please get in touch with us and we will do our best to help. 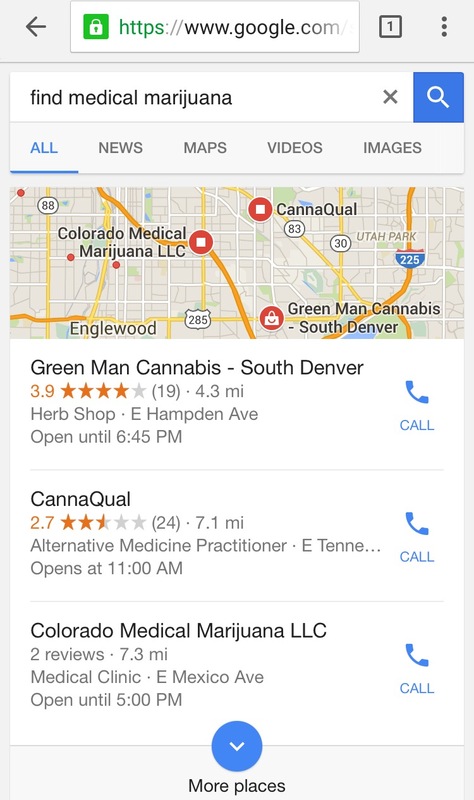 Another way you can use your iPhone to search where to buy medical marijuana is by asking SIRI on your phone. Just push the button at the bottom of the iPhone, hold it down for a moment, and then ask your question when prompted. A question you may want to is, “SIRI, where can I buy medical marijuana near me?” If you don’t get the answer you are looking for, keep asking variations of this question. One more option is to use voice command with Google Chrome. This works like SIRI on the iPhone but you activate it from Chrome. Google has done a great job using their voice recognition software to hear you correctly, translate into text, and then quickly deliver a relevant answer. I have been using this search feature more often and I find it sometimes gives me better answers than SIRI on my iPhone 6 Plus. Good luck and let us know if we can help!